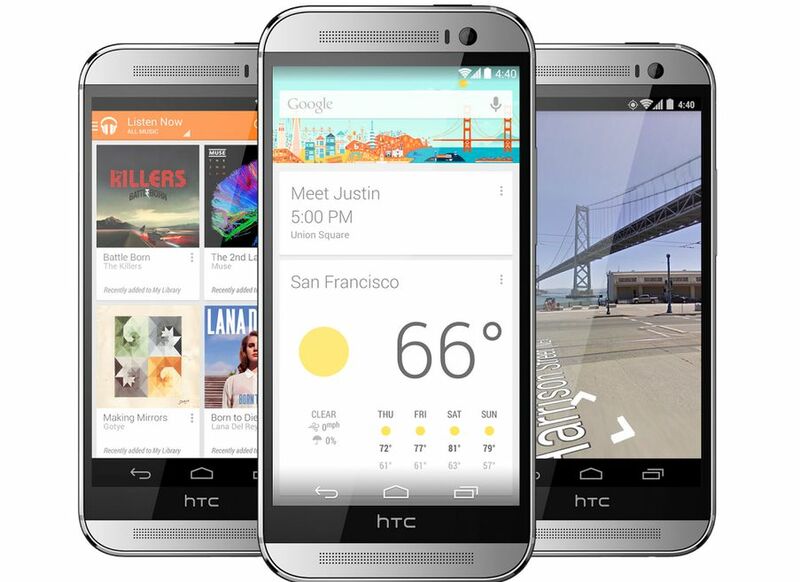 One day after the HTC One M8 launched, the phone arrived in a Google Play Edition. Starting Wednesday, customers can order the new handset directly from the Google Play Store which shows a two to three week lead time. The phone hardware itself is the exact same as the HTC One you’ll find in carrier stores — select Verizon(s vz) locations already have inventory — but without HTC’s custom software; this phone is pure Google Android(s goog). Google announced the Play Editions of flagship phones last May at its Google I/O developer event. Since then, various handsets have found their way to the Play Store without manufacturer software such as the Samsung Galaxy S4, Sony(s sne) Z Ultra, Moto G, and last year’s HTC One. This year’s contract-free HTC One M8 will cost $699, is unlocked and works on GSM and LTE networks around the world, including AT&T(s t) and T-Mobile(s tmus) here in the U.S. Google is selling the 32 GB edition, which can be expanded through a microSD card slot. The benefit of the Play Edition phone is fast Android updates pushed directly from Google; there’s no network operator to get in the way for those. So you’ll always have the latest and greatest Android features with a Play Edition phone. And if you prefer to use the standard Android platform without HTC Sense, BlinkFeed and various other HTC apps, the HTC One M8 Play Edition is the model to get. Besides, you can always install a custom ROM or third-party launcher app if you’re smitten with the hardware but not crazy about the software. Keep in mind that the native Android camera app doesn’t likely know what to do with any data from the One’s second rear camera, so you may lose out on using that particular piece of hardware. Didn’t they say that the HTC branded camera app would be available for download seperately from the Play store? Something new this time around I thought so you could get the best of both worlds so to speak. I thought the HTC camera app would be included in the play edition. I know I read that somewhere in the avalanche of HTC One coverage. If the camera app is included that would make the play edition a much more appealing device.